Cinnamon rolls. 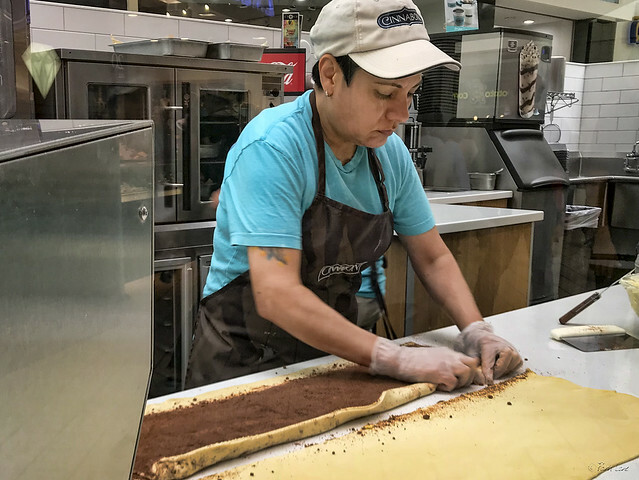 The sight and smell of them from the Cinnabon kiosk in the center of Stonewood Center made my mouth water and next thing I knew, I was ordering several for my breakfasts the following week. Cinnabon was started in 1985 by a father and son on a quest for the perfect cinnamon roll. 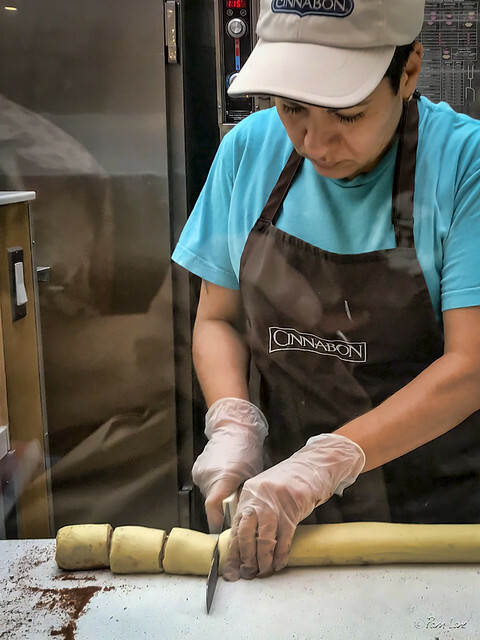 With a combination of Makara cinnamon, fresh-baked dough, and Ooey-Gooey™ cream cheese frosting, they found the combination that made the rolls a success. "Pleasure is found first in anticipation, later in memory." :-) I might have to go back for seconds!